Qbic Coin - A digital curency by the people, for the people. to re-construct a subject to represent several different perspectives. Welcome to Qbic 2.0: A digital currency by the people, for the people. Qbic is a digital currency proposing the use of project level monetary policies to control asset volatility. Here at Qbic, we aim to build a multidimensional payment environment, employing technology to offer different perspectives of the payment industry, inclusive of all in an open society. Good day, everyone. As we wrap up the week, we’d like to thank you all for being patient with the development team. At this point, we’re about halfway through Q2; a solid foundation has been laid over the past couple of months and we’ve been reassured by the development team that the roadmap items are being prioritized and that the end-products will be of great value to the community. In the meantime, we’ll be compiling another edition of The Chronicles, to share additional information, and working to expand our presence throughout the crypto-space. Again, thank you for your patience and commitment to the project. Make it a great day! On the 25th February 2018, control of Qbic was transitioned to a management team with retail banking technology experience, to oversee a project re-structure, including the creation of a whitepaper, a new and updated roadmap, and an extensive re-branding exercise, including the website and all other communication channels. The management team will use industry checkpoints to analyze the industry as a whole and any macroeconomic factors that may affect asset value, and react accordingly. We look forward to the challenge of raising the profile and value of this project in a sustainable way and will continue to cultivate a positive and helpful community. From today begins the swap of coins on the exchange https://t.co/zqjei5Opm4. Wait for the end of the exchange. In addition to technical innovations of the QBIC project, shortly you will see ours new partnership agreements. 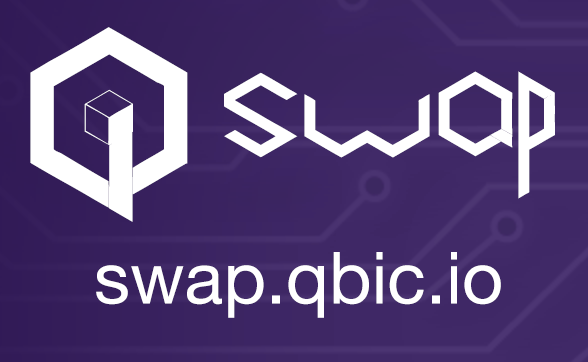 The official QBIC team has not announced any swap. We must warn you that you may permanently lose all your coins and not receive any reward in return for participating in such a swap. Be careful and stay with us more information coming soon..
Qnodes help keep the integrity of the network and enable support for PrivateSend and InstantSend functions. Because of their importance to the Qbic ecosystem, Qnodes are incentivized with a 50% block reward. We have 3 different types of reward given out to the owners of QBIC. Masternodes, QBIC staking and zQBIC staking. Due to our large network size, our reward return rate is very consistent and highly reliable. InstantSend technology allows nearly instantaneous transactions for point-of-sale situations while not relying on a centralized authority. Qbic - By the people, for the people.